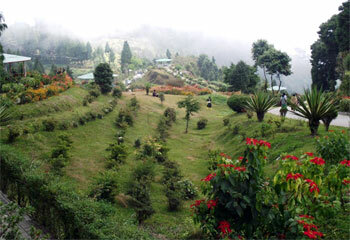 The beautiful region of Eastern Himalayas is best explored via Sikkim and Darjeeling Tour. Tucked between the kingdom of Nepal in the West and Bhutan in the East, Tibet in the North and the state of West Bengal in the South, these regions have plenty of rich history, natural bounties and spiritual connect associated with them. The highlights of this tour include aromatic tea gardens, a visit in many monasteries of the regions and exploring the highest mountain range in India, Kanchendzonga. On arrival in Kolkata, transfer to the hotel for overnight stay in the city of joys and begin the eco tour with great zeal and excitement. In the morning, after breakfast transfer to airport for flight to Bagdogra. 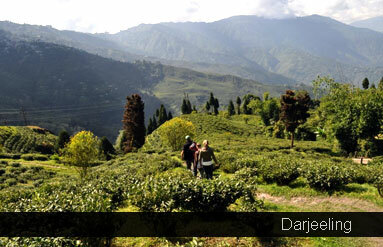 Upon arrival, continue the road journey for Darjeeling, the queen of the mountains and an enchanting eco tourism destination. As the vehicle meanders through a landscape of woody hills covered with tea plantations, the visitor feels blessed with the opportunity of visiting Sikkim and Darjeeling Tour. Upon arrival in Darjeeling, check in the hotel. Remaining day is free at leisure and walk around the mall. Overnight in Darjeeling. In the morning visit the highest spot in the area at 2590 m, Tiger Hill is near Ghoom Monastery, about 11km from Darjeeling. As the first ray of sun strikes Darjeeling, a visitor can begin the eco trail to Tiger Hill and see the mesmerizing morning views over Kanchenjunga and other eastern Himalayan peaks. On a clear day, he / she can even see Mount Everest. Other attractions of this morning tour include a visit to the Observatory hill & Tibetan refugee camp. Rest of the day is free for shopping & optionally a visit to Tea Gardens can be paid during this eco tour. Overnight in Darjeeling. Morning after breakfast checkout Darjeeling and drive to Pemayangtse, which is the entry point to surreal and pristine destination of Sikkim. This is a land of organic farming where no pesticide use is allowed. Hundreds of orchids here bloom in full fervour in Sikkim and mighty Kanchendzonga Hill overlook its bewitching beauty in splendour. All this and much more make it a blissful holiday destination. Pemayangtse at the altitude of 6000 ft. is known for the second oldest monastery in Sikkim and serves as the headquarters of the Nyingma sect. Overnight in Sikkim. 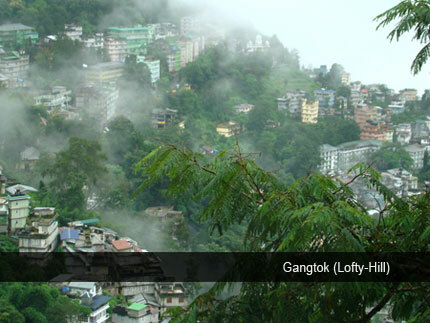 In the morning after breakfast, check out Pemayangtse and drive to Gangtok, the capital of Sikkim. This is another picturesque city of eco-friendly Sikkim known for its serene monasteries, gardens, colourful markets and pagodas. Upon arrival here, check in at the hotel. Later begin the sightseeing of Gangtok covering Ganesh Tok, Do Drul Choten / Stupa, Hanuman Tok, Flower Show, Cottage Industries, Enchey Monastery. Later return to the hotel for overnight stay. After breakfast take an excursion tour to Tsongmo Lake (32 km), situated at a height of 3,780 meters with an average depth of 50 ft. The cool water of the lake is perfectly acclimatized with the scenic beauty around. Here, visitors can even enjoy the Yak ride. Return back to hotel for overnight stay. Detour towards Rumtek Monastery 24 kms from Gangtok. This is a famous monastery worshipped by Tibetans in high regard. Originally called the Dharma Chakra Centre, this monastery houses a beautiful shrine temple and a monastery for the monks. The 16th Karmapa built the monastery. After the excursion, drive back to Gangtok for overnight in the city. Morning after breakfast check out the hotel and drive to Kalimpong - situated at an altitude of 1250 meters between the Deolo and Durbindra Hills, Kalimpong is an ideal place for a quiet holiday amidst gently rolling hills and deep valleys at the foot of the mighty Himalayas. On arrival, transfer to the hotel. Afternoon visit Durpin Dara Hill, Flower nursery, Gouripur House, Swiss Welfare Dairy & Tibetan Monastery. Overnight at the hotel. Morning after breakfast, transfer to Bagdogra airport to board the morning flight for Kolkata. Upon arrival here, begin a half day city tour of Kolkata visiting Victoria Memorial before connecting onward flight.